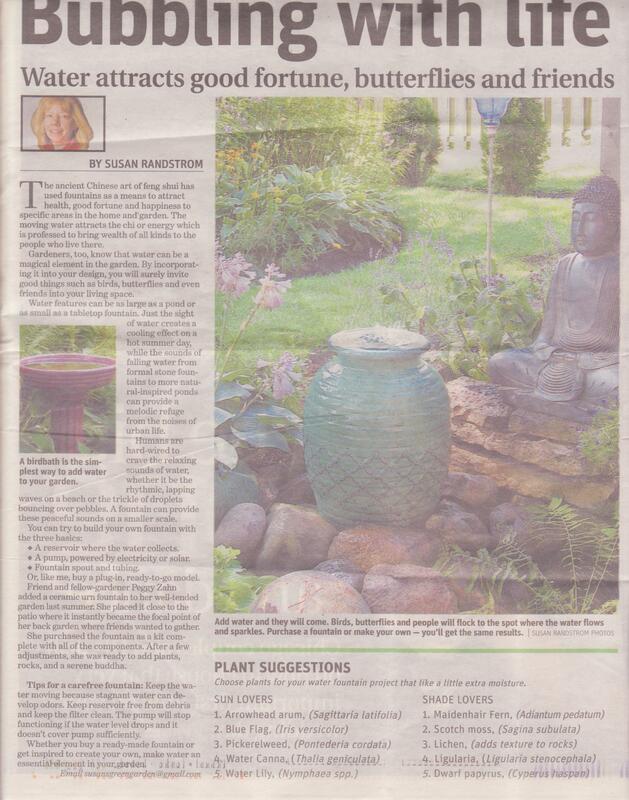 Here’s a great story sent from a friend about the wonderful benefits of garden water features with plant tips from the “your garden” section of the Chicago Sun Times by Susan Randstrom. They don’t archive their garden stories on their site, so we scanned the story. “Bubbling with Life” Water attracts more than good fortune, butterflies and friends!